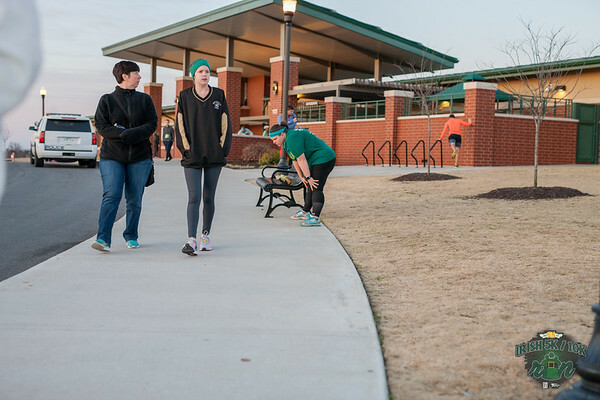 Starting at the Bentonville Community Center, runners enjoyed a beautiful sun rise as they and made their way through the streets of Bentonville for the Irish 5k/10k, Saturday. Photos for this race have been paid for courtesy of Bentonville Parks and Recreation. Race participants are granted permission to make any and all prints and to post online as wanted for personal use only. This authorization pertains to and only to the images that begin with the numbers Irish 5k_10k 0001.